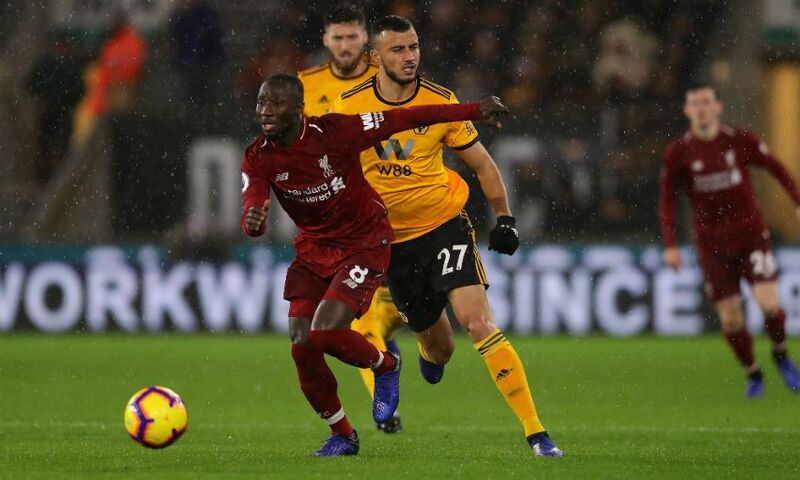 Jürgen Klopp does not think the injury sustained by Naby Keita during Friday's 2-0 win over Wolverhampton Wanderers is serious. Liverpool's No.8 was forced off shortly before the hour mark at Molineux having picked up a couple of knocks. However, Klopp said post-match that Keita's issues 'should be good'. "Did you see it back, the first two situations? Was it a penalty or not, because he had a proper cut on the foot and everyone said 'diver! ', but you don't get a cut from a dive, I would say," the boss stated, during his press conference. "Then he had another one on his ribs, so that's obviously [why] it didn't work out. But it should be good. Two things which are a bit painful but I don't think will be a problem for him."